“Inamullah Miakhail, spokesman for the provincial hospital in Nangarhar, said that 17 out of 19 dead in the attack are from the minority Sikh and Hindu community. Miakhail added that at least ten of 20 wounded were also from the same minority community and are undergoing treatment at a Jalalabad hospital. Narendr Singh, one of the wounded Sikh form Sunday’s attack, told to The Associated Press by phone from his hospital bed in Jalalabad that the attack targeted their convoy. He cried on the phone worrying what had happened to his father, Avtar Singh Khalsa, who was also in the convoy. 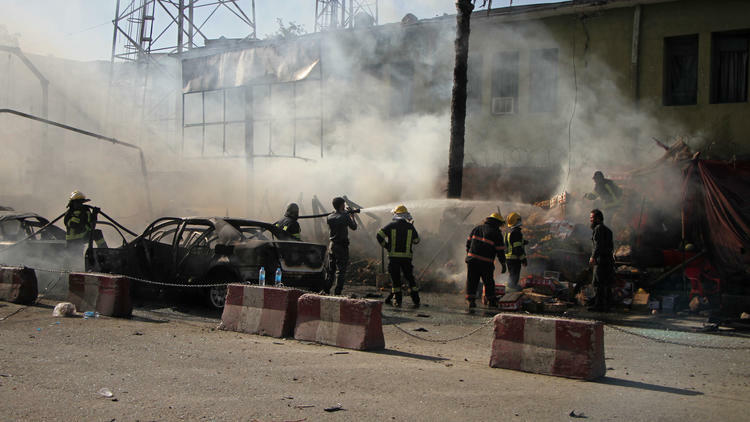 Attahullah Khogyani, spokesman for the provincial governor, said that a number of and shops vehicles caught fire as result of the attack. Gen. Ghulam Sanayee Stanekzai, Nangarhar’s police chief, said that the attacker targeted the group on its way to the governor’s compound. They had planned to meet with President Ashraf Ghani, who was visiting the region on Sunday. Other sources say that Islamic State has claimed the attack. President Ghani’s spokesman said the president was still in Nangarhar but was “away from danger”. Ghani arrived in Jalalabad earlier Sunday to open a hospital, part of a two-day visit to the province bordering Pakistan. The Delhi Sikh Gurdwara Management Committee has released names of those victims, whose identities have been established. External Affairs Minister Sushma Swaraj is slated to meet the families later on Monday evening. Delhi Sikh Gurdwara Management Committee has urged the government to make security arrangements for the Sikh and Hindu community in Afghanistan. The victims in the list released by the Delhi Sikh Gurdwara Management Committee have been identified as – Anoop Singh, Meher Singh, Rawel Singh, Avtar Singh, Amrik Singh, Manjit Singh, Inderjeet Singh, Taranjeet Singh, Baljeet Singh, Satnam Singh, Raju Gaznechi (unclear). 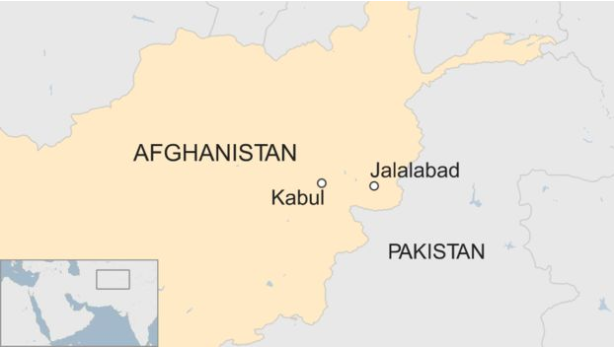 1/2 We strongly condemn the henious and cowardly terrorist attack in #Jalalabad today evening which resulted in the death of 20 innocent Afghans, including 10 members of the Afghan Sikh Community, and injured more than 20 persons.